What lasting impact has this had on my life, as a young woman living in Britain today? 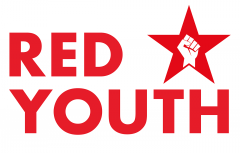 What are the vital lessons of the Russian revolution, and Stalin’s role in building socialism, for the struggles we face to liberate women, and liberate workers of our country and the world from a system of exploitation – monopoly capitalism? It is capitalism that we face as the mortal enemy of working people today – as the workers and oppressed nationalities of Russia and her colonies faced it in 1917. Monopoly capitalism is a system that breeds hatred, division, sexism, racism and war, famine and despair – all in order to prop up and reinforce a system of exploitation that allows 62 billionaires to accumulate as much wealth as half the world’s population. Listen to her inspiring words, and hear why we need to reject the false history that is drip fed to us in the media and in our classrooms. Before I express what Stalin means to me, I would first like to discuss what Stalin meant to the peoples of Russia at a time where oppression was much more glaring in its mercilessness, and the emancipation of a nation from wage-slavery and exploitation was considered impossible. As is always the case when the relations of production are hostile to, and inherently conflict with, the character of the productive forces, revolt inevitably occurs and spreads wildly. It was Lenin who lit the beacon that shone on Marx’s theories, and Lenin who further developed them; this strenuous task was continued forth by his disciple, Josef Stalin. For Stalin, a strong economy needed a strong country: and rightly so! How right he was. In less than 10 years the Nazis invaded the Soviet Union, and were it not for his plans of collectivisation and industrialisation, the USSR would have been dealt a vicious blow that would surely have left her severely wounded, and easy prey for the jaws of Western imperialism. Against all odds, Stalin and the Soviet peoples revolutionised a largely agrarian backwater into a powerful Socialist state, and in doing so, in accordance with the tenets of socialism, transformed the limited role of the woman to that of the highest calibre. Stalin continues, “Women workers and peasants are free citizens on an equal footing with men workers and peasants. The women elect our Soviets and our co-operatives and can be elected to these organs. Women workers and peasants can improve our Soviets and cooperatives, strengthen and develop them if they are politically literate. This briefly leads me first onto the topic of the Soviet Union before the building of socialism. Though most of the world would like to dispute this fact, we Marxist-Leninists know the truth: that without Stalin, the healthcare system as we know it, the various social reforms that have given millions of oppressed, silenced people a voice and, more importantly, the abolition of fascism would not be in existence today. Tsarist Russia, as Stalin knew it before the revolution, was a nation of misery and mass corruption. To say that “these most aristocratic of aristocrats fell from glory” as the Daily Mail described the Imperial family in 2008 is an absolute insult to the life of the working class then, along with 80% of the population that made up the peasantry. Workers living under Tsarist rule would have no choice but to sell their labour for fourteen to fifteen hours every day, and no less than twelve and a half. Insurance, much less workers’ rights in general, was non-existent. No regulation, no protection, and no regard for the working people resulted in droves of workers being killed, maimed and left seriously injured on a regular basis. Women and children were undoubtedly the main objects of exploitation. Children of astoundingly young ages were forced into unbearably long hours of labour, the same as adults, and yet, like women, received diabolically low wages. In particular, women living under tsardom could not even fathom the idea of village day nurseries, working homes for destitute mothers, consulting institutions for pregnant women, no legal and no village consulting stations: there were none. The women of smaller nationalities belonging to the eastern regions of Tsarist Russia were deprived of their most basic human rights. Before the October revolution, it would be most usual to find as many as ten to twelve workers crowded into a small cell in barracks belonging to the factory they worked in. In concern with the living conditions of the peasantry, whom until 1861 were serfs, or in other words slaves to their landlord, they were subjugated to constant malicious exploitation over portions of land for cultivation, extortionate rent fees, fines, and excessive taxation, after excessive taxation, after excessive taxation. Further, the life of a peasant woman was just as dismal, working from dawn till dusk, entirely alienated from her labour like the worker. Further still, in the case of women living in pre-revolutionary Russia, all doors to government, civic and other political activities were barred shut. These are a few example of the predetermined conditions that were set out for working women and men. Truly, tsardom was a quality of life nasty, brutish and short for the proletariat. From the moment they were brought into the world, until their very last breath, life for the working class and then peasantry in Tsarist Russia was nothing short of a prison sentence. 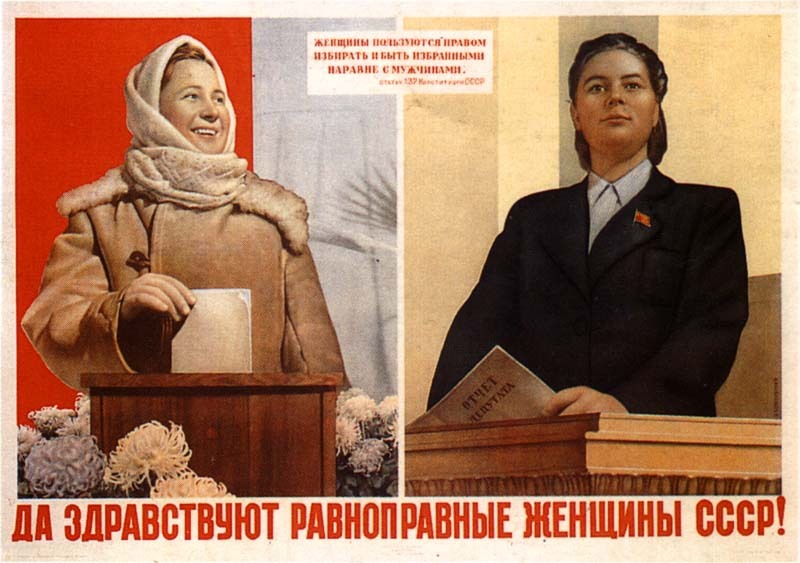 In contrast to life under the Tsar, women could now take an active part in administration, various aspects of socialist culture and in state building; also playing an important part in socialist industry, with women mastering highly skilled trades such as engineering, technician work and factory labour. 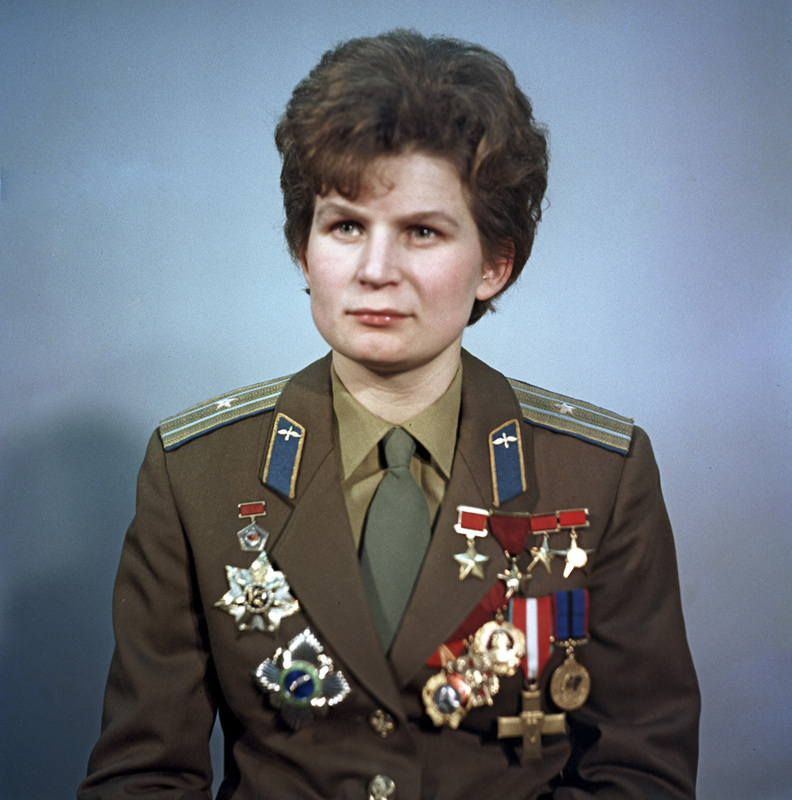 Under Stalin, the Soviet Union was an unquestionable inspiration to women’s liberation movements the world over, including International Women’s Day, which though in recent years became a celebration of women’s achievements, originally had socialist roots. So with that in consideration, why does Stalin continue to suffer from such outlandish lies that are seldom grounded in reality? Essentially, Stalin has not been continuously vilified because he was a mass murderous dictator who exercised total control over the population, while strangely simultaneously giving full rights to all citizens, eradicating illiteracy, drastically expanding life expectancy, but because he posed a rightful threat to Western imperialism. The Daily Mail, who I’m almost certain have hired someone whose purpose it is to plug anti-Stalin clickbait articles, couldn’t resist adding cliché, baseless accusations of engineered famines and executions of 20 million (it’s 20 million for definite this time, not 60 or 5) people even in a poll taken in Russia, in which Stalin was voted third best Russian leader, narrowly missing the top spot by 5,500 votes. Despite the ruthless propaganda war that was propelled against Stalin and continues to the present day, a war that has, tragically, severely damaged relations with our international comrades, surprising amounts public perception of Stalin that is indoctrinated to us doesn’t correspond with what’s propagated, perhaps partly owing to Putin since approving a textbook used in schools across the country, one highlighting Stalin’s achievements. The view often held, at least by the older generation, is nostalgic. Many people regard him as a leader who leader who led the defeat of Nazi Germany. Next Next post: NHS Singers: Yours!